It's no secret that the Western Cape is one of the most popular tourist destinations in South Africa. Living in the Western Cape we don't always explore the full potential of our beautiful province? If you have the wanderlust or just want to escape to a quiet place with your favourite book, you'll find the perfect spot for your preferred activity right here on your doorstep. Spending time in some of the most beautiful places in the world doesn't have to cost you an arm and a leg. With several nature reserves and national parks in the Western Cape you only need to decide what kind of break you would like to enjoy. Discover why international tourist enjoys visiting the Western Cape in growing numbers. Most reserves offer overnight accommodation and/or camping. Conveniently situated throughout the Western Cape, CapeNature reserves are diverse and offer a wide range of preferred holiday activities and accommodation. Activities include day hikes, multi-day trails, mountain biking, fishing, canoeing, kloofing, rock climbing, 4x4ing, whale-watching, bird-watching, horse-riding, donkey-carting. 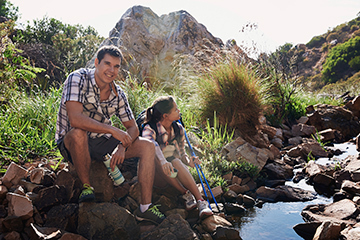 Start planning your trip today, and visit one of CapeNature's nature reserves. As if the nature reserves do not leave one spoilt for choice one also have several national parks to choose from. Whether you prefer a holiday spot that comes with all four walls or an open space to park your caravan, there are many relaxing options available to cater to your needs. 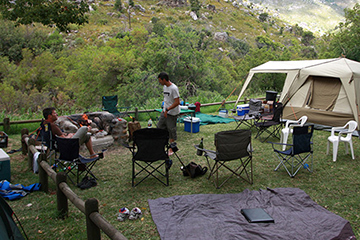 State-owned resorts and camping sites provide the perfect affordable family holiday at any time of the year. So before you pack your car and head off to a chalet near the sea or pitch your tent in the scenic mountains, have a look at the variety of holiday resorts offered by government. Another popular recreational activity the whole family can enjoy is birdwatching. Explore some of the best birdwatching spots throughout the Western Cape and enjoy all that Mother Nature has to offer.